As the void in the Lincon system exploded into a fire work of light as loyalist and traitor ships engaged each other in furious battle the fighting spilling even further across Lincon Near-Space. The orbital defence grid around Yaris Dock was one of the primary targets for the Warmaster fleet. Crippling the numerous asteroid defence platforms would render the station virtually defenceless and ripe for the taking. Alarms bellowed across the command bridge. Brace for impact! Captain Phanuel Karna shouted. 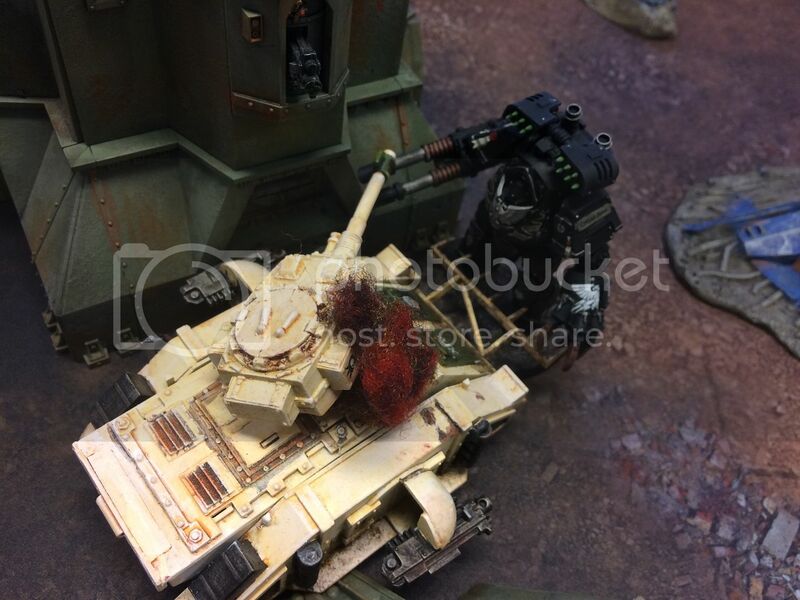 The Death Guard Grand Cruiser The Scythe of Barbarus shuddered under the strain of plasma fire as the macro cannons of the defence platform unleashed their deadly ordnance against the traitor cruiser. Void shields flickered and died, warning claxons sounded and damaged reports scrolled across the pic screens and automated repair systems sprung into life to save the crippled cruiser. Karna grabbed the nearest Vox and issued the orders to launch the strike force tasked with assaulting and taking the platform. Boarding torpedoes and assault claws exploded from the launch bay of the Grand Cruiser, blasting across space and smashing into the armoured flank of the defence platform. Even as the assault claws fusion burned through metres-thick armour and torpedoes bored deep into the platforms gut, the loyalist defenders mustered. Prepare to repel boarders! Talon Captain Typhorius Daarchin bellowed. 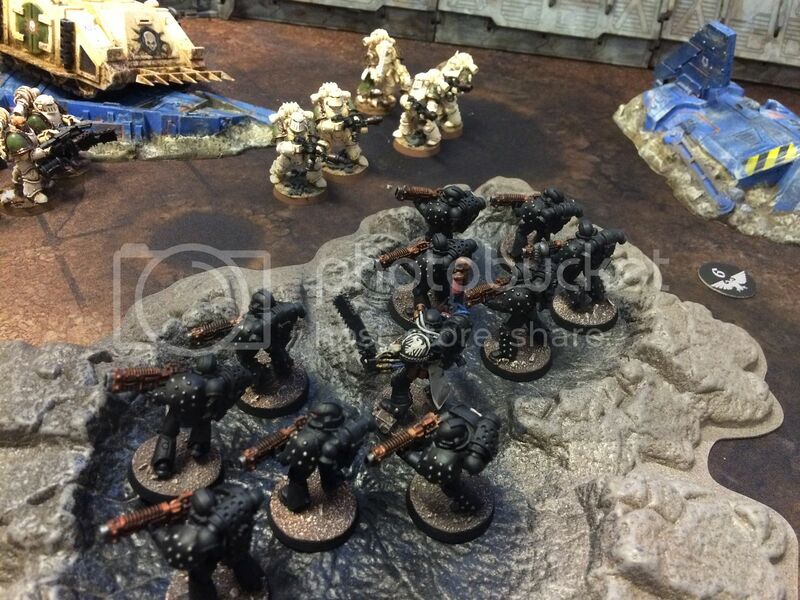 The Raven Guard tasked with Garrisoning Defence Platform Tetra-Elipsia 12/B scrambled to oppose the traitors onslaught. 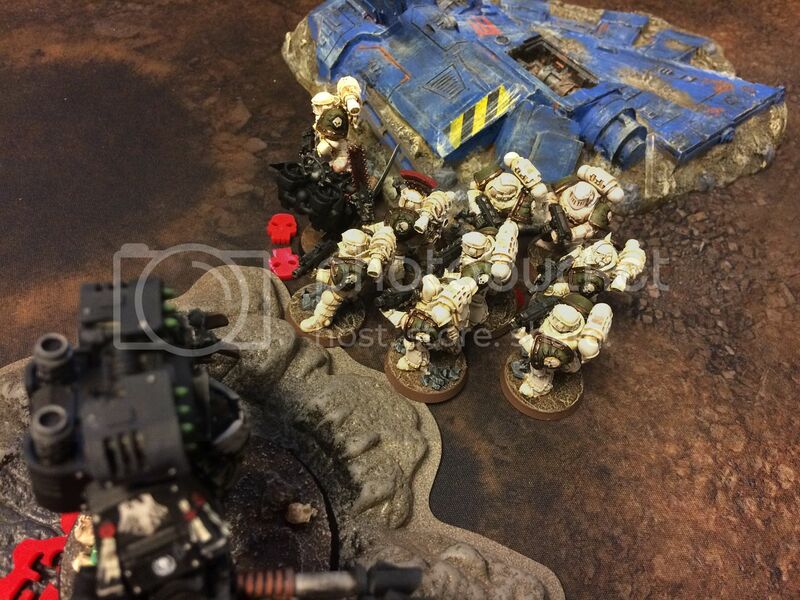 Emerging from the assault claws and torpedos the Death Guard boarding parties forced their way along passageways swept with torrential blizzards of bolter, plasma and chem-unfused flame. The defenders were on home ground and had trained countless times to undertake such duties, and made the boarders pay dearly for the first few gains they made. The Death Guards weathered the storm, striding inexorably into the very jaws of death. 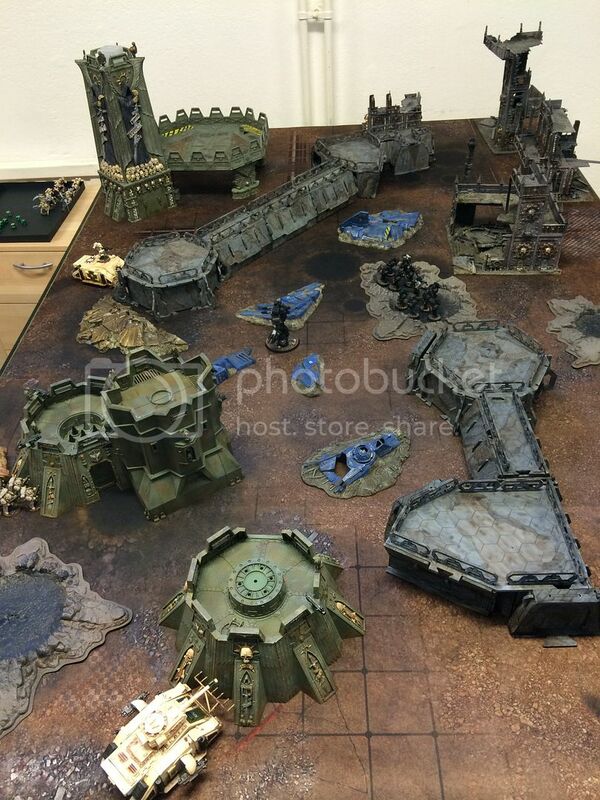 Ceramite armour cracked and degraded layer by layer as round after round of Volkite fire impacted, but few of the traitors fell and with lethal inevitability the sons of Mortarion unleashed their dark and forbidden weapons onto the Raven Guard turning the defences into a rad-induced chemical charnel house. The Raven Guards held their position, maintaining a steady rate of fire as death came for them, determined to the last to buy their brothers time to establish new defensive positions. 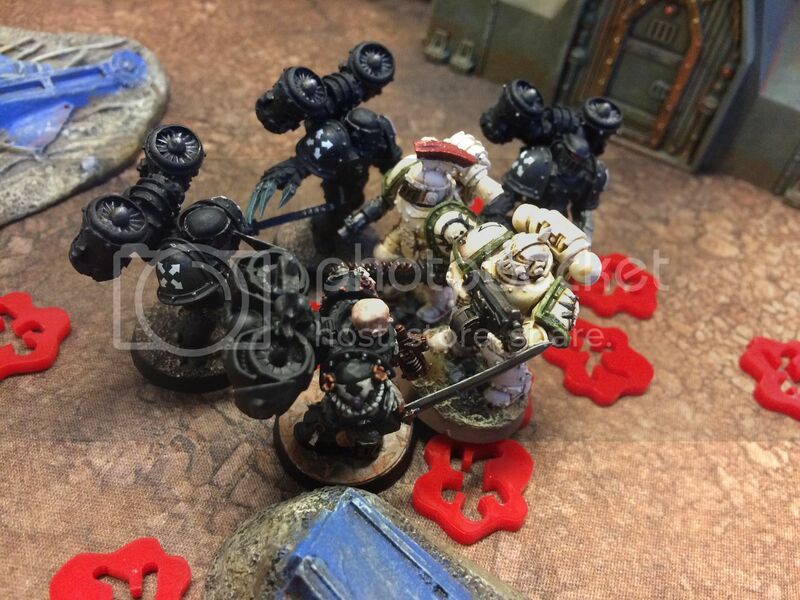 The strategium finally captured by the traitors, victory was short lived however and even before the smouldering fires of battle have had a chance to subside the Raven Guard counter attack came. 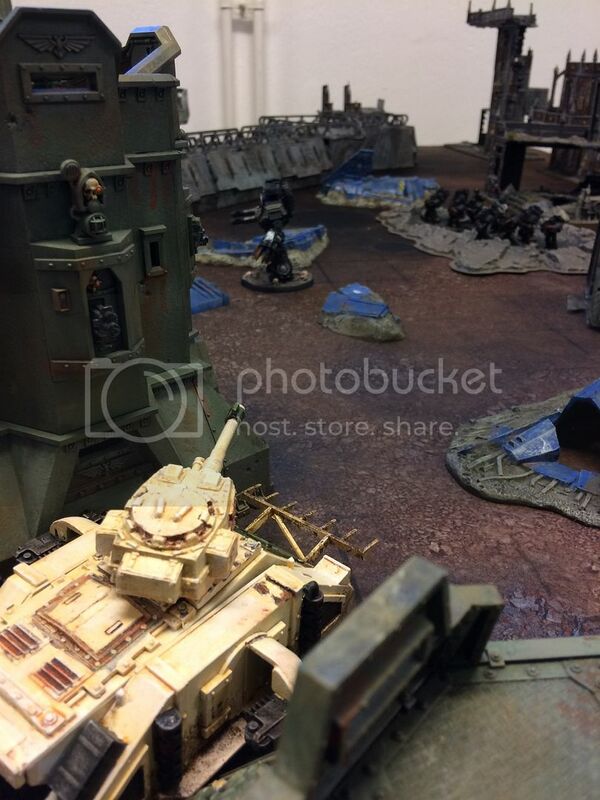 Led by Talon Captain Daarchin and the Venerable Contemptor Dreadnought Auem Irae the loyalist threw themselves with hatred born out of betrayal and dozens of the traitors were overrun before they could react. Combatants clashed in a mighty melee, the Raven Guards fought their way slowly towards the Strategium. Casualties mounting and the fighting intensifying the battle reached it final climax, Death Guards and Raven Guards locked in a mutual death-struggle with no outcome besides the total annihilation of one and another. Finally the sheer fury of the loyalist carried them through and the command bridge was retaken but they had suffered unprecedented losses. This page was last modified on 12 December 2015, at 16:20.